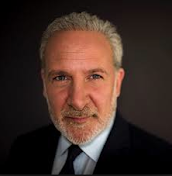 Peter Schiff On The Markets: Canadian Dollar: Why Is It Falling? The reality is interest rates in the United States are still below interest rates in Canada and I think they will remain below interest rates in Canada for 2016 as well. Meanwhile, yes, they have reduced their forecasts for growth in Canada but it may well be that Canadian growth even though its slower it could still outgrow the United States in 2015. So, why is the Canadian Dollar is getting hammered? Because Canada is easing, they cut interest rates and the Federal Reserve is perceived to be tightening even though they haven`t tightened at all, even though monetary policy in America is easier than it is in Canada yet somehow the Federal Reserve is getting credit for being tight.